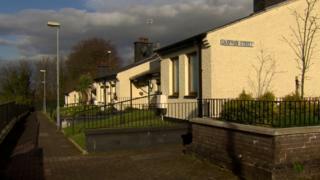 A man has died after being admitted to hospital in Londonderry with unexplained head injuries. The 43-year-old was taken to hospital after he was found in a house in Grafton Street on Monday. Police said they were only notified of the incident at 06:35 GMT on Tuesday. A post-mortem examination is to be carried out to establish the cause of his death. PSNI Det Insp Michael Winters said the man died on Thursday morning. "Our enquiries are continuing to establish how and where the man sustained his injuries," he said.